New to affiliate marketing and wondering which mistakes you should avoid making? Everyone makes mistakes in the beginning, but having a guiding light to illuminate the path before you can help to minimize them. So you’ve heard you can make money from affiliate marketing. You’ve even heard you can make lots of money. Just like any other big goal, the first steps are usually the hardest. Should you blog and review products that earn you commission? Will running search engine ads get you out of your day job? What traits will you need to make a career from this industry? There are different ways to get your feet wet with affiliate marketing and land that first paycheck. There are mistakes to avoid and traits to build. While there is no way to guarantee that mistakes won’t be made, we hope to help you avoid several of the most common ones. You heard someone made their first affiliate marketing check by running dating ads while another marketer you met online is making a killing from weight loss offers. Do you then proceed to invest time and money into building both a dating and diet site? This isn’t the smartest way to approach your first Internet venture. Choose one vertical and stick with it. Putting your eggs in several baskets might sound safe but with limited time and resources it is best to focus your energy and efforts on one type of offer. You will also be less likely to feel overwhelmed or burned out if you are only focusing on one project at a time. Remember that each site or ad you run will require time and work. Spreading out your limited resources will cause you to produce lower-quality results. Overnight success stories get a lot of hype. What the media doesn’t report are the hundreds and even thousands of hours successful people put in their ventures before turning in a substantial profit. The most successful blogs, landing pages, and email lists were not exactly touched by the hands of Midas in one simple step. Don’t immediately give up on the offer you chose to run if you don’t see profits rolling in right away. Try tweaking your landing page, blog, ad copy and the like. Expect to do a lot of revisions and tests in this industry. Testing is your friend here. Test, test, and test some more! Try different looks, text, and offers to see what works best for your audience. Consider your affiliate manager your ally. Affiliate managers deal with a lot of other affiliates on a day-to-day basis, so they have information you need such as which offers perform the best. However, this also means that an affiliate manager’s time is limited. It’s important to realize that your affiliate manager’s time is just as important as your own. They are trying to make a living online as well. It’s worth your while to begin forming a lasting business relationship with your affiliate manager right from the get-go. Ask questions and be courteous. Schedule an initial phone call as soon as you are introduced to your affiliate manager. Prepare a list of concerns and questions, showing respect for his or her time. Common courtesy, building rapport and being likable will make you stand out from all the other affiliates. Show you’re interested in working in concert and you will reap the benefits. If you make money, your manager makes money. It’s a win-win relationship you will need to invest in. 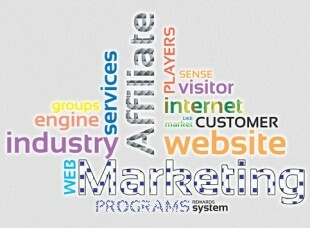 Do you have any tips for affiliate marketing beginners? Things that you know now, but wish you had known when you first started out?